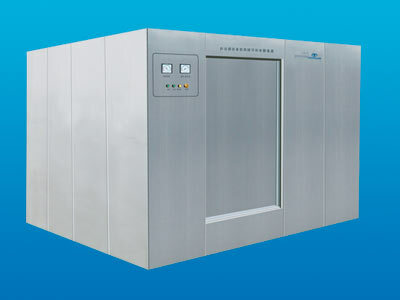 The CQS series sterilizer is pure steam type sterilizer, the steam enters to the autoclave by two pipeline system, one system to the chamber, and the other to the jacket, the chamber steam pipeline adopts pure steam for medium, and the jacket adopts industrial steam, which is mainly used for the sterilization of the loads require high sterile grade. 2. 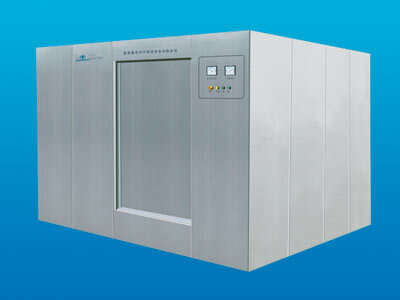 This equipment eliminates the impact of cold air on the temperature by pulse vacuum, and vacuum dehumidification combined with jacket heating for drying the items, sterile air is finally emptied to achieve pressure balance. 3. 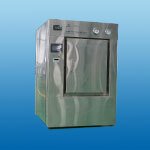 This series of pure steam sterilizer adopts horizontal rectangular structure. 4. 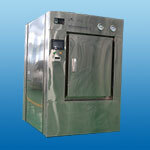 304 or 316L stainless steel chamber, whole stainless steel draw-benched cover plate, with a standard GMP verification interface. 5. Industrial control system PLC + HMI has standard “user management, data storage, process management” function, the sterilization process can be traced back, with independent data recording devices and industrial control system to ensure data accuracy.